I made this cake yesterday to bring to work today. We were having a buffet for someone’s leaving do. I thought as I wanted something chocolatey and the person was Irish (or at least I think he is), I thought an Irish-themed cake would be a great idea. 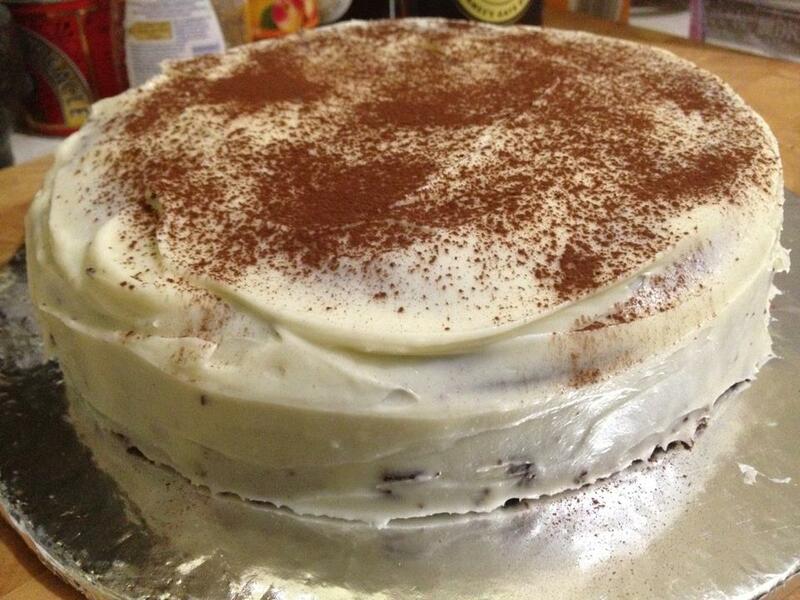 So I went and baked a chocolate guinness cake! The recipe was from Hummingbird Bakery’s Cake Days cookbook. I’ve made this several times now and one thing that I completely love about the Hummingbird Bakery books is that if you follow the recipe to the letter, the cakes turn out beautifully! Previous PostBaking is the best medicine?